Taiwan's women played The Philippines last night in their second round Olympic qualifier. The two sides met in the previous round with Taiwan winning that match easily enough, therefore the thought was that the second game against the teams would go the same way, that was not to be. Taiwan started slowly into the game, but seemingly had an air of confidence about them like they knew they could win the game. However that confidence got shot to pieces early as The Philippines raced into a two goal lead, and the lead was well deserved. Taiwan were trying to pass the ball around nicely but the play was too slow, and The Philippines pressed well, and got the reward they deserved when the Taiwanese keeper tried to come racing out to stop the attack but Filipino attacker Joyce Semacio managed to get round the keeper and score from an extremely tight angle making it 1-0, in the 13th minute. Patricia Tomanon made it 2-0 in the 32nd minute and at that point, it looked like Taiwan might be doomed after a great first win over Palestine. If the Philippines could hold on, then it would have thrown the group standings into disarray and handed the advantage to Iran as they'd be the only team with two wins from two. Taiwan didn't give up however, and stuck to their game - in the final minute of the first half, they got a stroke of luck their determination created. They were awarded a penalty, and Michelle Pao stepped up to make no mistake, meaning that Taiwan halved the deficit right at the break. Right after the break, Taiwan were back on level terms as Filipino play Tomanon scored an own goal in the 48th minute. That meant in the space of about 3 minutes before and after half time, Taiwan had dragged themselves back into the game. They now had the momentum with them for the rest of the second half, and that momentum dragged them to get the win they needed before they face a group decider with Iran. The third goal for Taiwan came from a massive deflection off Alesa Dolino, as Taiwan pushed for the winning goal, they took a shot from outside the box, without the big deflection it is unlikely it would have went in at all, with the Filipino keeper moving the right way to cover the angle of the original shot, therefore the deflection took the ball into an open net. 3-2 Taiwan! Taiwan saved the best goal for the end of the game, Taiwan striker Tseng Shuo-o broke with the ball, and ran towards the Philippines goal, she slipped a lovely pass to the recently subbed on Ting Chi, who slotted into the bottom corner of the goal making no mistake. Taiwan and Iran now top the group, with both teams having two wins from two. In Iran's second game they defeated Palestine 9-0 which could point to Taiwan having a tough match against the Iranians in the winner takes all game. 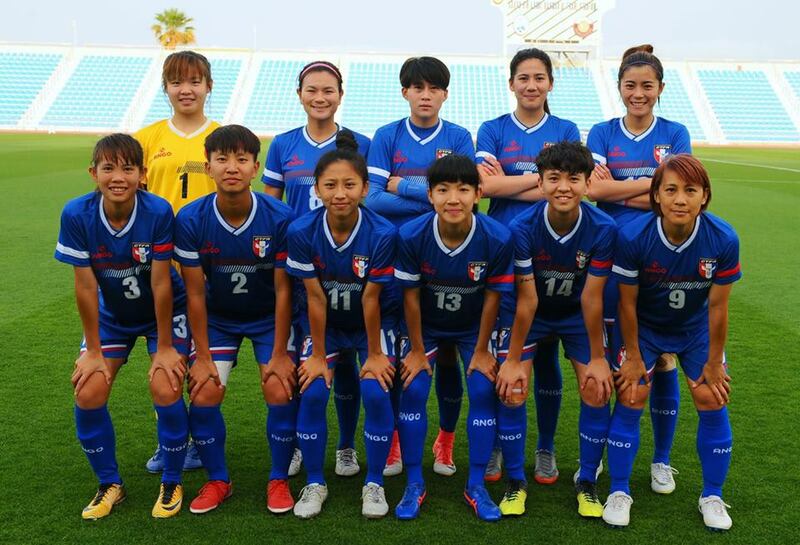 Because of Iran's superior goal difference, only a win for Taiwan will take them into the final qualifying round, where they will face some of the big guns of women's football.